Psychiatrists, Psychologists, and Other Mental Health Providers — Kelly Psychiatric Associates, Inc.
Few outside of the mental health treatment world have a clear understanding of the different types of providers available. Herein we provide quotes from Dr. Kelly's book to help clarify the issue (for more about this book, click the image). "Psychiatrists have attended medical school, where they have learned about the structure and biological functioning of the human body (anatomy and physiology), the biological chemistry of the body and the principles of treatment with medication (pharmacology and therapeutics), the methods for examining bodily and mental functioning by physical examination, mental status examination, laboratory tests, and medical imaging (x-rays, MRI scans [magnetic resonance imaging], and other methods), as well as the principles of treating medical and surgical diseases. After medical school, psychiatrists train in the specialty of psychiatry for four or more years, applying what they have learned in medical school about diagnosis and treatment of disease to the evaluation and treatment of psychiatric problems of all types. They also learn a set of therapeutic skills that are somewhat different from those of their colleagues in other medical specialties: the principles of psychotherapy. By studying the works of behavioral scientists—Freud, Erikson, and others—psychiatrists learn about the theories of psychology, and by counseling and doing therapy with patients, they learn the practice of psychotherapy." "As many know, a physician typically places the letters MD (for medical doctor) or DO (for doctor of osteopathy) after their names. In a similar fashion most if not all psychotherapists will have some letters after their name, and we will attempt to list many of those here. A psychologist has a university degree in the science of human behavior: psychology. Hence, they usually place PhD (doctor of philosophy) after their name, though they may also have PsyD (doctor of psychology). The field of psychology covers the whole range of mental life and functioning: language development, how visual images are represented in the brain, the neural basis of learning, crowd behaviors, and the accurate measurement of intelligence—these are only a few of the areas within this immense and fascinating field. Psychologists may focus on understanding normal human—or animal—behaviors through research (experimental psychology) or on the dynamics of groups of individuals (organizational psychology) or on the treatment of psychological problems (clinical psychology). Clinical psychology is the subspecialty of the field involved in the treatment of emotional problems. A clinical psychologist usually has a four-year college or university degree plus several more years of education towards their final degree. Clinical psychologists have focused on theories of human behavior as they relate to the development of psychological problems, have learned various methods of psychological assessment (such as giving and scoring intelligence tests, personality assessments, and other tests of mental functioning), and have learned about psychological disorders and psychological treatments: counseling and psychotherapy. Doctoral-level psychologists must go on to complete a year of postgraduate training (called an internship or sometimes a residency) in which they gain practical experience in assessing patients and doing therapy in order to be able to treat patients. There is no national accrediting body for clinical psychologists, but most states require psychologists to be licensed in order to see patients. Typical licensure requirements include passing a written and sometimes an oral examination and having completed a degree and an internship in a program approved by the American Psychological Association." But aren't both a "Doctors"? After psychologists achieve the level of a doctorate degree, both physicians and psychologists may go by the title 'doctor.' But do not be confused--psychologists have no training in the practice of medicine. They cannot address the underlying origin of symptoms from the human body, such as how low levels of thyroid function can mimic major depressive disorder. They will also not be able to order laboratory or other evaluations. Although some states have given psychologists permission to prescribe certain psychoactive medications, in California only medical doctors, such as psychiatrists, can prescribe these medications. 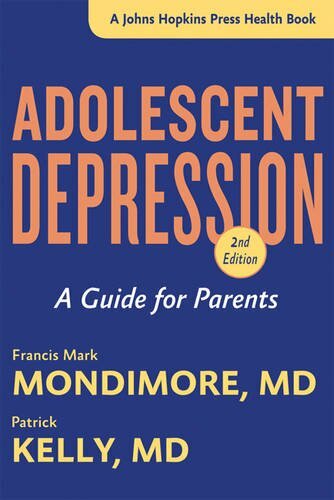 From Adolescent Depression, "We shudder to think of anyone taking a prescription written by a professional who has no training in how it might affect their physical body, or interact with other medications they may be taking. Many mental health professionals see the medications we prescribe as benign; they under-appreciate how significant their effects can be. We once had a colleague who was asked if it might be possible to put together a training on the effects of medications for prescribing psychologists, so that they might begin to appreciate their more general effects on their patients. He replied 'There already is one. It is four years long and called medical school.' "
"Many, perhaps even most, psychotherapists have a degree in social work, a field that emphasizes the interactions of individuals with their various social groups: their family, community, and culture. A clinical social worker specializes in helping individuals, couples, or families with emotional or relationship problems by means of counseling and psychotherapy. Most clinical social workers have a master of social work degree (M.S.W. ), though some have a doctoral-level degree (D.S.W. or Ph.D.). However, many social workers instead list their licensure after their names. An L.G.S.W. is a licensed graduate social worker. After additional training and supervision, a social worker may apply for licensure as a licensed certified social worker, or L.C.S.W. After yet more training and experience, they may apply for an added modification so that they are recognized as an L.C.S.W-C (in which the C stands for “Clinical,” the subspecialty of social work focused on the direct mental health treatment of patients, much like the clinical psychologists discussed above). Social workers may apply for membership in the Academy of Certified Social Workers of the National Association of Social Workers, if they have a master’s degree in social work from an approved program, have completed two years of social work experience that has been supervised, have submitted professional references, and have completed a written examination. The letters A.C.S.W. in a social worker’s title indicate this membership. A more advanced certification is the Diplomate in Clinical Social Work, requiring more years of experience and a more advanced examination. These social workers use the designation D.C.S.W. to indicate this certification. The American Board of Examiners in Clinical Social Work is another organization that issues a certification in advanced practice to social workers who have a master’s degree in clinical social work from an approved college or university program, have practiced in the field for five years and seen clients under supervision for a certain number of hours, and have had colleagues and supervisors attest to their competency. Clinical social workers with this certification add the designation B.C.D. after their name." "Some psychiatrists decide to limit their practice to psychotherapy and become primarily psychotherapists, though this is becoming increasingly rare. Individuals with degrees in nursing may also work as psychotherapists. Often they have taken advanced training in therapy to do so. Their names typically end in R.N. (registered nurse, an associate degree), B.S.N. (bachelors of science in nursing, a college degree), or M.S.N. (masters of science in nursing). All of these providers must practice under a physician’s license. A Nurse Practitioner, or N.P., or Doctor of Nursing Practice, D.N.P., are in many states able to practice independently. These professionals, in contrast to psychologists, do have training in the physical body and medications and do prescribe. Some psychotherapists have a degree in counseling and have trained specifically in this field." "Counseling differs from psychotherapy in its emphasis on giving advice and guidance rather that treating disorders. School counselors often have this kind of training background. A more advanced degree in counseling allows one to put L.C.P.C. (licensed clinical professional counselor) after their name. Alternatively, those with a college degree may choose instead to get licensure as a Marriage and Family Therapist (M.F.T. ), though these professionals typically focus more on, as their name would describe, couples and family therapy as opposed to individual therapy, particularly with children. Though there is certainly a lot of overlap, counseling can be thought of as helping psychologically healthy individuals to improve and enhance their functioning and coping skills, and psychotherapy as treating individuals with psychological problems and returning them to normal functioning. Clergy may get training in pastoral counseling and even advanced training in psychotherapy. Pastoral counselors, of course, usually emphasize spiritual growth, and the religious and ethical principles of their religious background will guide their work with clients. The National Board of Certified Counselors offers a variety of certifications in counseling to individuals with a variety of educational backgrounds.